Be a Teacher. Be a Leader. Be in Mastery. MBody Academy’s Teacher Training Programs are the platinum standard in yoga, personal growth and leadership education in the state of Florida, as well as in numerous cities across the United States and in Europe. We are a Power Yoga/Vinyasa Flow based school, with an emphasis on creating powerful yoga teachers and leaders in our communities. With our training, you will be able to teach to any population. MBody has been leading yoga teacher training programs since 2007. We have been very successful in graduating powerful teachers and leaders who are “ready to teach” immediately following graduation. Our training is less theory and more hands-on. Feedback and mentorship are cornerstones of our programs. Whether you are looking to advance your practice, become a professional yoga teacher or have a personal growth/transformational experience, we have a training for you. Join our growing family of teachers and leaders, a national community that feels like home. Learn to live your most empowered life and lead the way for your students and those around you to do the same. Experienced: We have been training teachers for over a decade. Since 2007, we’ve certified over 600 teachers. Knowledgeable: Our instructors average (10) years of teaching experience and hold an E-RYT 500 advanced certification. Recognized: We are globally recognized by Yoga Alliance and highly-ranked by our graduates – 4.5 out of 5 stars. Methodology-driven: Time-tested methodology to lead, teach, and develop your unique voice and timeless passion as a teacher and leader. Below, select your teacher training program of interest to view what academy trainings are available today! To be notified of our next 300HR program, fill out the form to the right. To be notified of our next 100HR program, fill out the form to the right. Call 904.565.1005 to sign up. For more information about our world-class trainings, fill out our form below and we will get back to you within 24 hours. 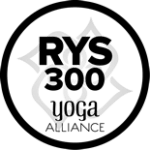 MBody Yoga is a registered school with Yoga Alliance. Our teacher training programs for MBody Yoga have exclusive recognition and qualify for the 200-hour and 300-hour Yoga Alliance Certifications. Interested in what we are up to? © 2005–2019 MBody Yoga, LLC All Rights Reserved.